I'll be at table# 1811 J all weekend. Sandwiched right between Josh Fialkov and Chris Ryder... Just like in my dreams. 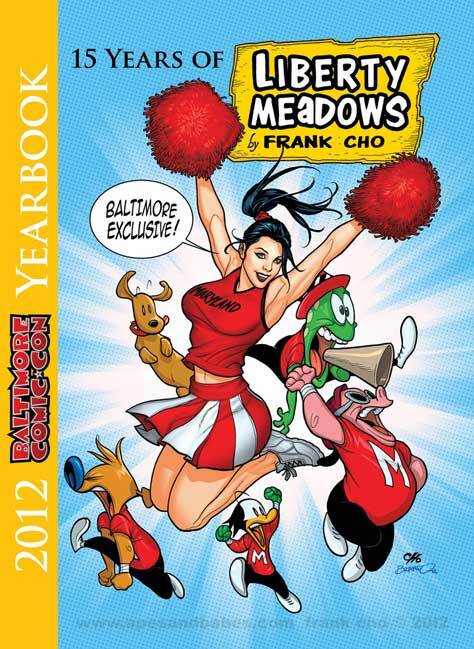 Also of note- You can pick up the first annual Baltimore Comic Con yearbook. This year's celebrates 16 years of Frank Cho's Liberty Meadows. Here's a look at my way-humble contribution. Attendees can bid on the original art from this book at an auction which is happening immediately following the Stan Lee panel on Saturday night!